Nakusp is a mountain playground nestled in the west Kootenay's Valley of Hot Springs. Hike, bike, or paddle all day, then relax at the hot springs! 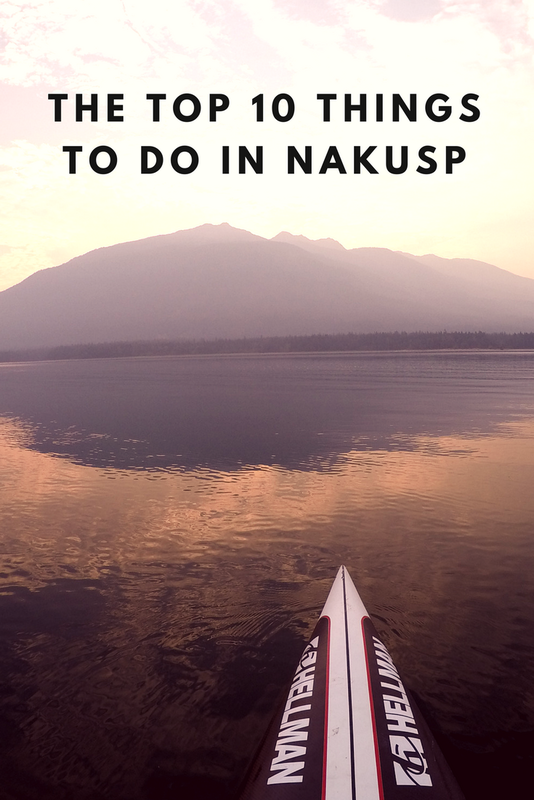 To help you make the most of this beautiful area, check out our list of the top 10 things to do in Nakusp! Nakusp Hot Springs is located on Hot Springs Road 14 km NE of Nakusp. As you drive, look for Gardner Creek falls (aka Victoria Falls) on the left. Or, hike the Hot Springs Trail through towering hemlock and cedar trees (8.5 km one way, 400 metres elevation gain) to the hot springs. Noel Ballard keeps the hot pools - one warm and one hot - at the perfect temperature; adjusting the water temperature by the weather. We loved relaxing here, watching the hummingbirds, and enjoying the mountain views with only a few other visitors (mid day, mid week is pretty quiet). If you're feeling peckish after, try the locally made calzones and lasagna at the cafe - so good! 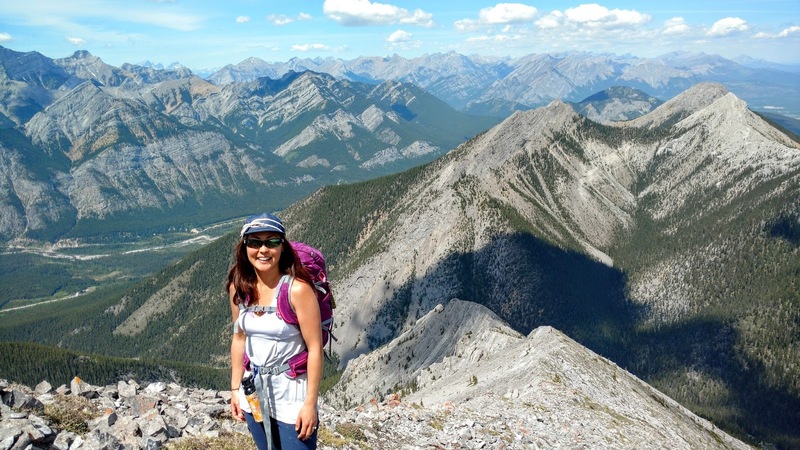 Make it a weekend of hot springs and hiking with a chalet or camping stay. 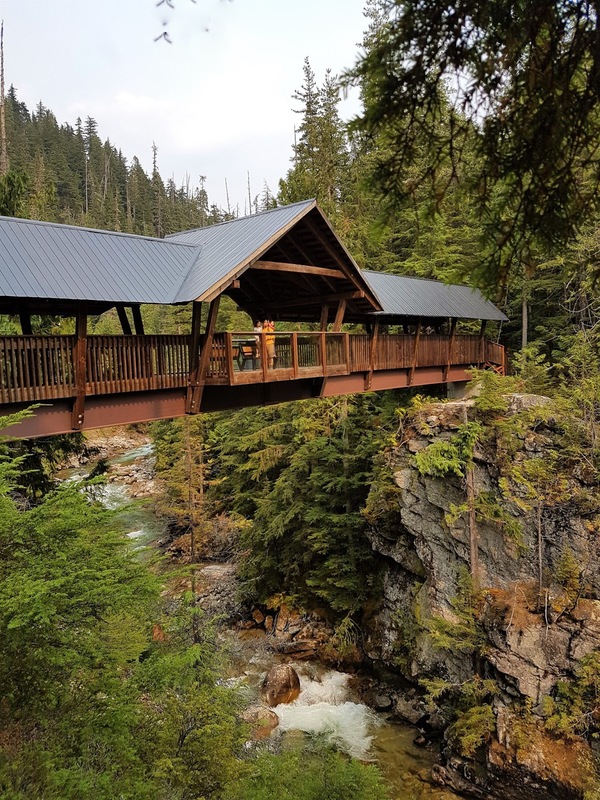 Your visit to the hot springs isn't complete unless you visit the award winning Kuskanax Creek Footbridge. 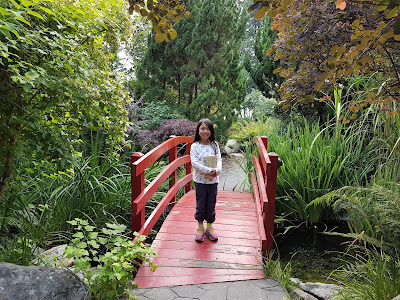 The beautiful covered bridge is an easy 2-minute walk from the hot springs. Going Further: At the far end of the bridge, the right fork leads to the source of the hot springs (1 km) and Kimbol Lake (4 km), while the left thin fork leads to powerful Kuskanax Falls (10 minutes one way). Keep kids and pets close as the creek is raging and there is no barrier. 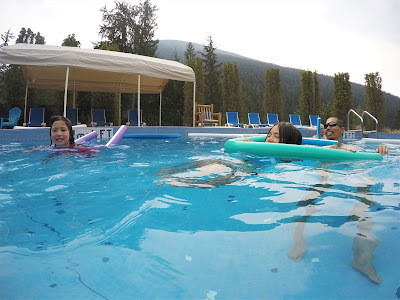 Halcyon Hot Springs is 35 km north of Nakusp and has four lovely pools overlooking Upper Arrow Lake as well as lodging, a spa, and restaurant. Dining at the Kingfisher Restaurant is divine and the views are incredible! 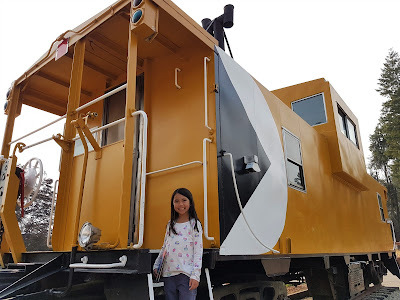 We plan to stay in a cabin next time so we can spend more time at the hot springs! Don't miss Ione Falls on the way; the cascading 18-metre high falls are stunning! 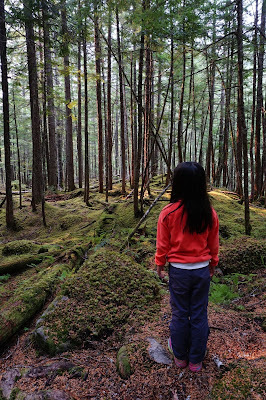 For more information, read our trip report: Why you should visit Halcyon Hot Springs. The most well known "wild" springs near Nakusp are Halfway Hot Springs (St. Leon Hot Springs is now closed to the public). You will require a high clearance vehicle with 4WD and good directions to reach the springs as they are located down a rough forestry road. 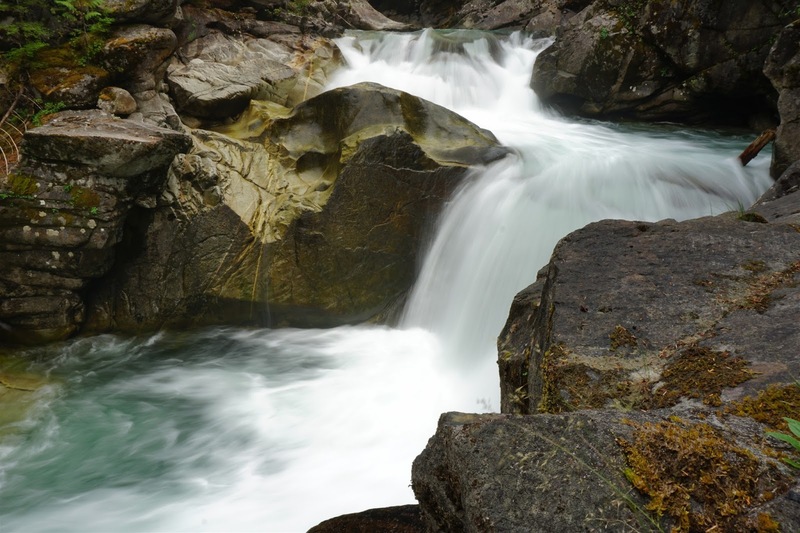 Admission is free, clothing is optional, and there is camping near the springs for $12/night (managed by BC Parks). Bring a towel and watch out for poison ivy growing near the springs. For detailed directions, contact the Nakusp Visitor Centre. The Nakusp Waterfront Walkway is a beautiful walk along Upper Arrow Lake. Start from the marina and enjoy the Marina Garden, Spicer Garden, Japanese Garden, and Nakusp Beach. Interpretive signs reveal Nakusp's mining history and tell the tale of how the Arrow Lakes were formed. It's a beautiful, paved walkway that ends at a sandy beach! Allow at least half an hour to enjoy the 1 km stroll. Near the beach: Visit the refurbished CP Rail caboose and snowplow. A lot of work has gone into them and they look great! 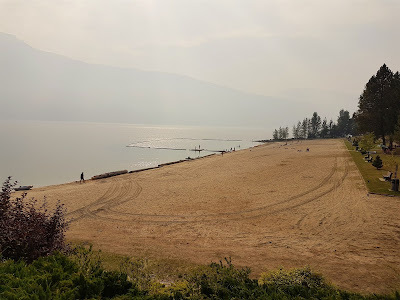 Nakusp Recreation Park, across the street from the beach, has a nice playground (Rotary Play Park), gazebo, skate park, rec centre, tennis courts. 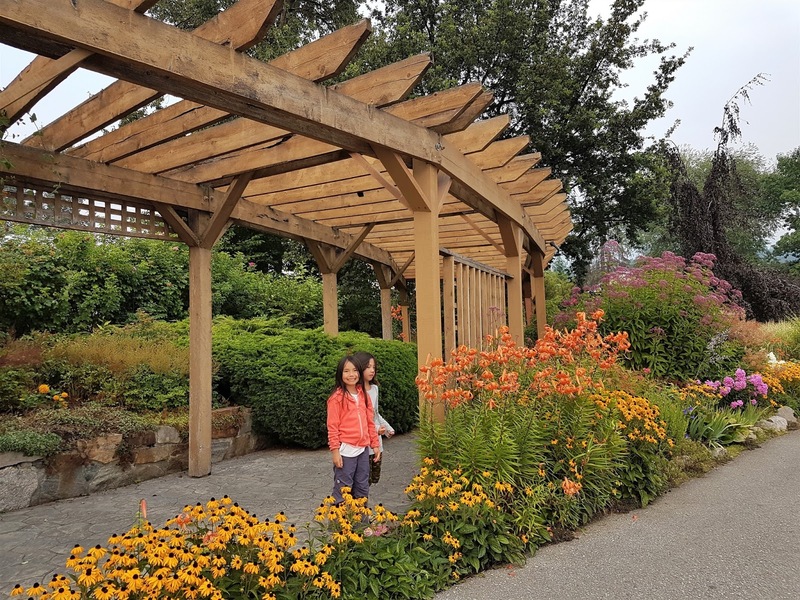 Events: Don't miss the Nakusp Farmer's Market from May long weekend until early October at 5 Ave SW and Broadway St W, and Music In The Park on Wednesday nights (summer only) at the gazebo from 6:30 pm - 8 pm. When we weren't at the hot springs, we were at the beach or on the water. We loved paddling from McDonald Creek Provincial Park to the little island across from the beach, and exploring the shoreline. You can also paddle from Nakusp Marina to Fosthall Point, NW of Nakusp - watch for log booms on the south side of the point - then hike along the creek to spectacular Fosthall Falls. Summit Lake Provincial Park is another popular paddling spot with calm water. When to go paddling: Upper Arrow Lake's water is most calm in the morning and evening (mid day, the wind can create some chop). Midweek is also preferable when there are fewer powerboats ripping around. Summit Lake is smaller and more placid. 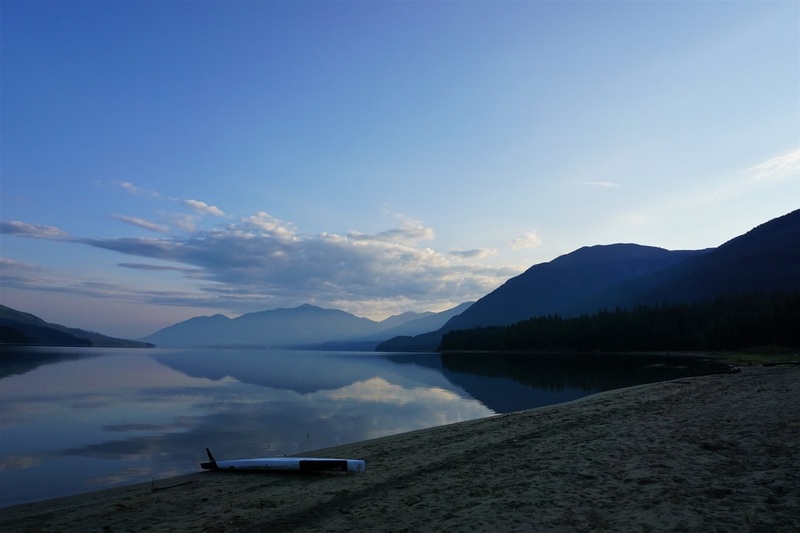 For more information, see Nakusp-Arrow Lakes Tourism's Paddling Maps. 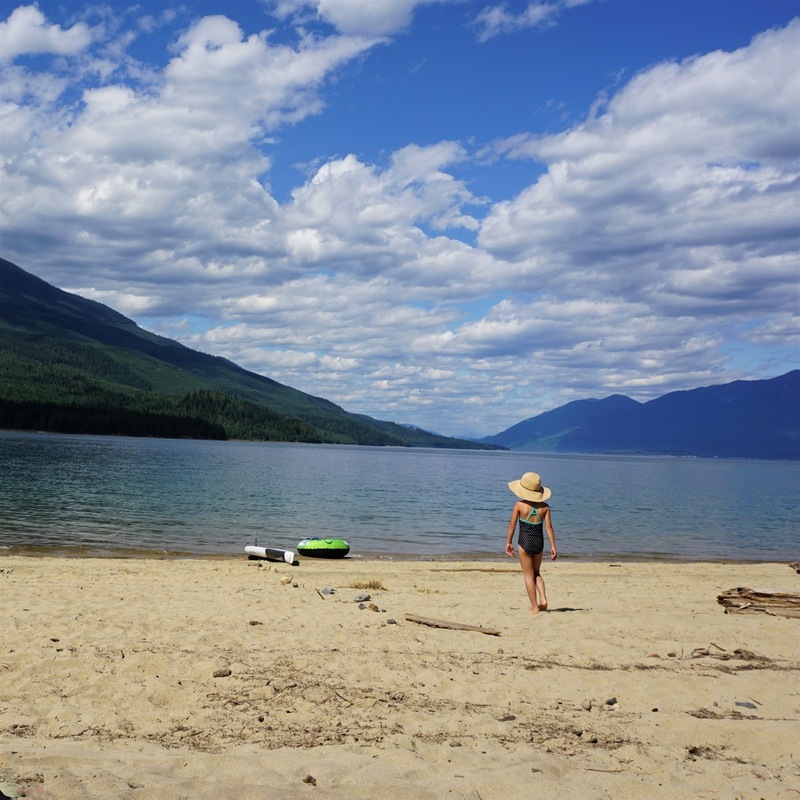 Beach time in Nakusp is wonderful! 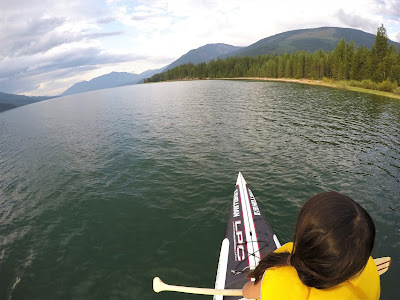 Check out the paddling map above and find a secluded paddle-in beach, or enjoy the convenience of Nakusp Beach, located at the west end of the waterfront. The yellow, sandy beach has a shaded, grassy area, beachball volleyball court, floating-dock waterslide, roped-off swimming area, and washrooms. There's also a playground across the street. Nearby McDonald Creek Provincial Park has a sandy beach, and Summit Lake Provincial Park has a small (100 metre long) shale/pebble beach. Both parks have pretty day use areas with picnic tables and washrooms. Nakusp Hot Springs to Kuskanax Creek Footbridge and Kuskanax Falls (about 1 km return) is a must-see if visiting the hot springs. Hot Springs Trail from Nakusp to Nakusp Hot Springs (8.5 km one way, 400 metres elevation gain) climbs gradually through cedar and hemlock along the old pioneer packhorse route. Cedar Grove Trail (1 km loop): Walk amongst 30 metre / 100-foot tall giant old growth western red cedars, some – some 2m/6.5ft in diameter. 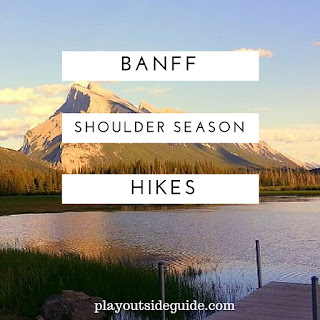 Idaho Peak (2 km one way) is about 50 km from Nakusp, but boasts some of the best wildflowers in BC so it is highly recommended during the summer months. Allow about an hour to drive to the trailhead. 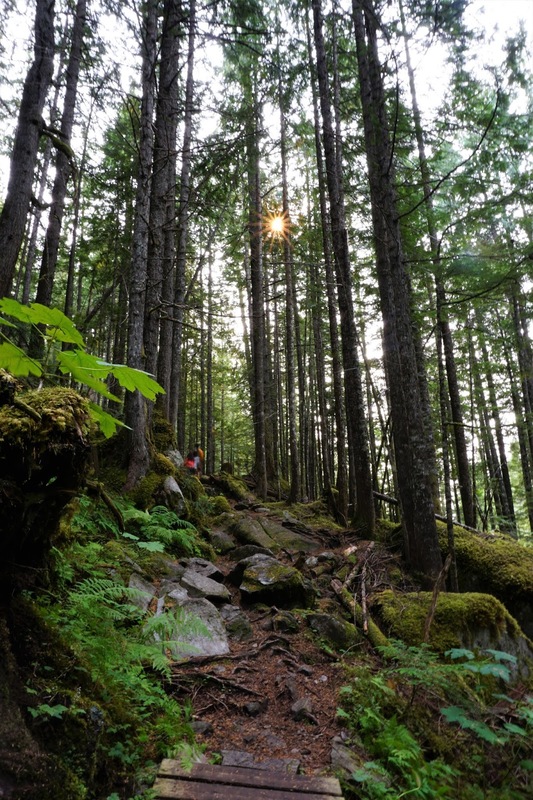 For more information, see Nakusp Hot Springs - Trail Maps or the Nakusp Visitor Information Centre. Upper Arrow Lake is home to giant Gerrard rainbow trout (6-9 kg on average), Kokanee (landlocked sockeye salmon), and massive Dolly Varden. We saw tons of fishing jumping each morning and evening on our recent visit in August, so we could tell it's a healthy lake! While the best fishing is from a boat, fly fishers have had success at stream outlets around the lake. 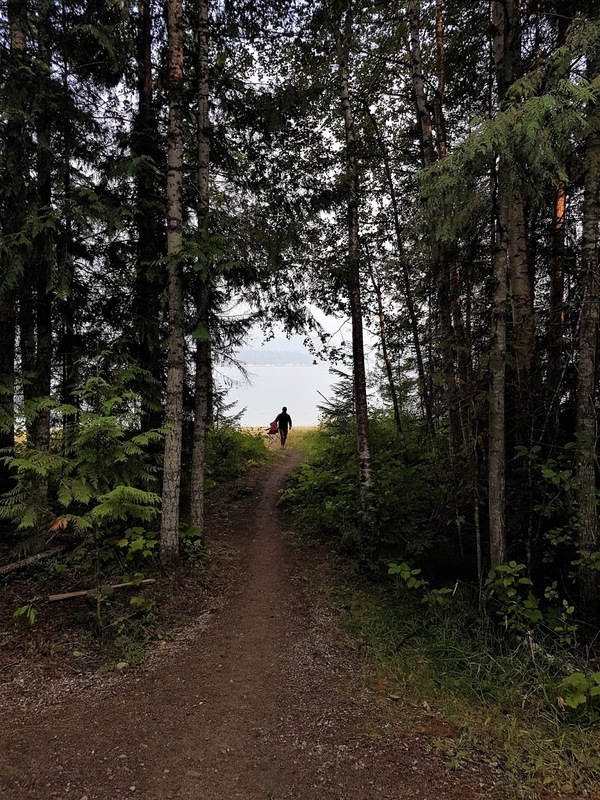 McDonald Creek Provincial Park, 12 km SW of Nakusp, has lakeside and forested campsites (19-73) on Upper Arrow Lake as well as open, grassy RV sites (1-18). The forested sites are large, private, and shaded. Amenities include showers, flush toilets, playground, picnic area, and beach launch. We really enjoyed this beautiful campground! The beach was steps from our campsite! 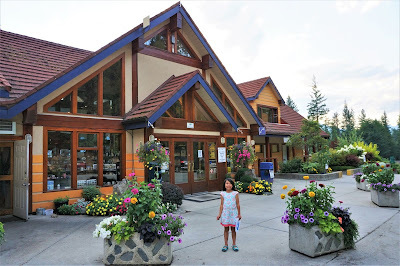 Burton Historical Park, 36 km west of Nakusp, is a favorite campground of Nakusp locals that was recommended to us several times. 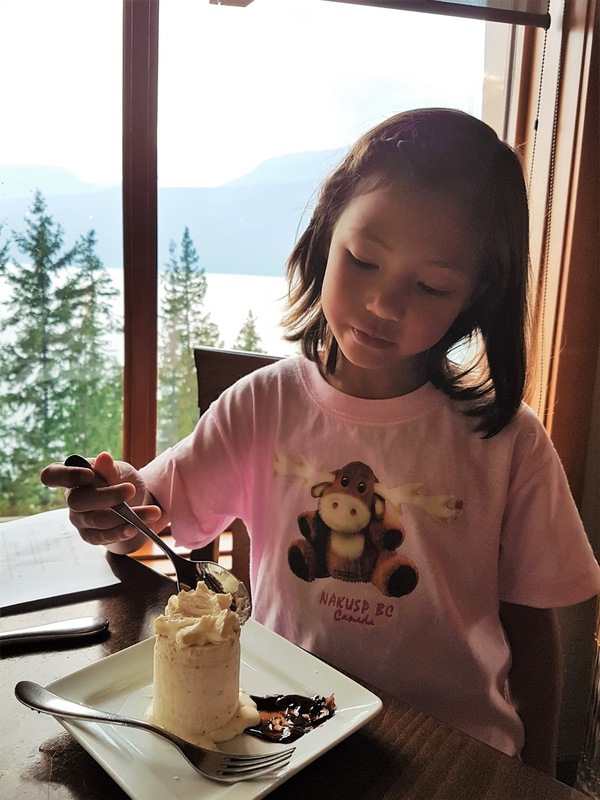 This family-friendly campground is located on the shores of Arrow Lakes and has showers and flush toilets as well as sandy beaches, a picnic area, volleyball net, and horseshoe pit. Summit Lake Provincial Park, 18 km SE of Nakusp, has a small campground on a peninsula in Summit Lake, with a shale and pebble beach, cook shelters, and calm, warm water. About half of the sites have lake views. Its clear, warm waters make it popular for swimming and paddling! Camping is also available at Nakusp Municipal Campground (forested sites 3 blocks from the beach near the baseball diamond, showers), Nakusp Hot Springs (mountainside camping near Kuskanax Creek, tent sites in the open, RV sites near the creek are partially shaded), and Halcyon Hot Springs (RV sites and tents sites are close together and in the open but have nice views). 9. Golf at Nakusp Centennial Golf Club. Nakusp's 9-hole course offers beautiful mountain views just minutes from town. From juicy, made-to-order burgers at The Hut Drive Inn Restaurant, to fine dining at the Kingfisher Restaurant and Lounge (at Halcyon Hot Springs), the village of Nakusp has a surprisingly good selection of eateries. Grab a beer at Leland's, the oldest continuously running hotel in BC with an awesome lakeside patio! 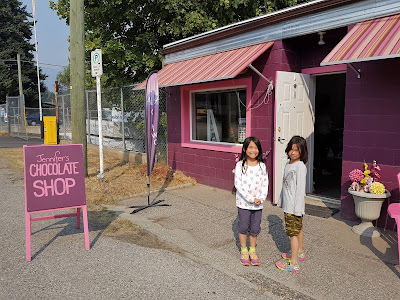 Gabi's Fairytale Cafe has Nakusp's best coffee and scones, and handmade chocolates from Jennifer's Chocolate Shop make a great treat or souvenir. 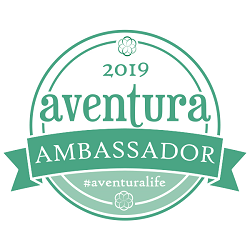 Winter fun includes skiing and tubing at Summit Lake Ski Hill and Tube Park, skiing at Revelstoke Mountain Resort, snowshoeing, cross country skiing, world class heliskiing (CMH K2 Rotor Lodge), and snowmobiling. Of course, you can hit the hot springs after - they're open year round! Nakusp is about 6.5 hours from Calgary and getting there is half the fun! 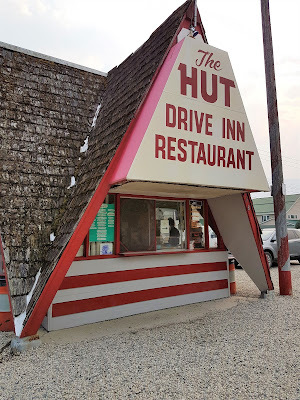 Head west on Highway 1, then leave the TransCanada Highway at Revelstoke and take the road less travelled: Highway 23 south. The scenic route to Nakusp winds through mountains along Upper Arrow lake and includes a free ferry ride at the halfway point. From the ferry, it's 48 km to Nakusp.